A partial knee replacement (PKR) is a wonderful surgical option for patients who have pain or damage in only one compartment of the knee and have not responded to conservative treatment. The damage most commonly is the result of osteoarthritis (OA) although there are other causes such as avascular necrosis (death of bone tissue due to a lack of blood supply). 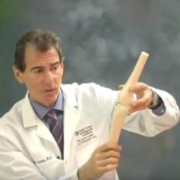 For PKR to be appropriate, the other compartments of the knee still must be healthy, any angular deformity must be passively correctable during the knee exam, and if a flexion contracture (inability to straighten the leg) exists, it must be minimal. Orthopedic surgeons like to think about the knee joint as having three compartments: the medial compartment (inside the knee), the lateral compartment (outside the knee) and the patellofemoral compartment (in front of the knee). The most common area for degeneration to begin is in the medial compartment. Although the arthritic process typically starts in one compartment, over time it progresses to the others. As the knee degenerates, the smooth hyaline cartilage that lines the knee joint deteriorates. This special cartilage helps remove friction, distributes the joint forces more uniformly and helps cushion the forces by acting like a shock absorber. Unfortunately, hyaline cartilage has very poor healing potential. When damaged, it heals with fibrocartilage, a different type of cartilage with different wear characteristics. Once that this special hyaline cartilage is worn or damaged, it’s gone permanently. The advantage of having PKR is that only the damaged compartment is resurfaced and the uninvolved compartments and the cruciate ligaments are not affected. 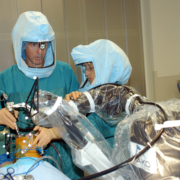 This allows for a much small incision and surgical dissection, faster recovery, and many patients find that the knee feels normal after the replacement. Some think that because of the limited soft-tissue dissection, knee proprioception (the brain’s ability to know and control functional joint stability) is better preserved because many of the neurologic pathways from the knee are not disrupted. Most importantly, patients tend to prefer PKR over TKR. Despite all of these advantages, PKR represents a small percentage (approximately 7 to 8%) of the knee replacements being performed in the U.S. and throughout the world. One of the main reasons is that many patients who present with symptomatic OA are not candidates for PKR because the arthritis already is too advanced or involves too much of the knee. Also, many orthopedic surgeons simply do not perform this surgery. Historically PKR was offered only to older patients who were not that active or not critically overweight. These restrictions no longer apply. Also in the past, PKR had a higher failure rate than TKR. PKRs are easier to revise than TKRs so surgeons have a lower threshold to revise them as compared with revising a TKR. A major reason why PKRs fail is they are less forgiving mechanically. If the weight bearing forces between the components (which now are very tiny compared to TKR components) are not centralized throughout the range of motion, then eccentric loads are created, which can lead to lift off, accelerated wear and loosening. Similarly, if the soft tissue tensions are not optimized, then the knee will not feel stable, normal knee motion will not be created and the other compartments can be overstressed, causing failure. I offer my patients PKR when appropriate because when PKR recipients do well, they do incredibly well. They recover very quickly and they return to normal activities. The key has been selecting appropriate candidates and then performing the operation as technically perfect as possible. 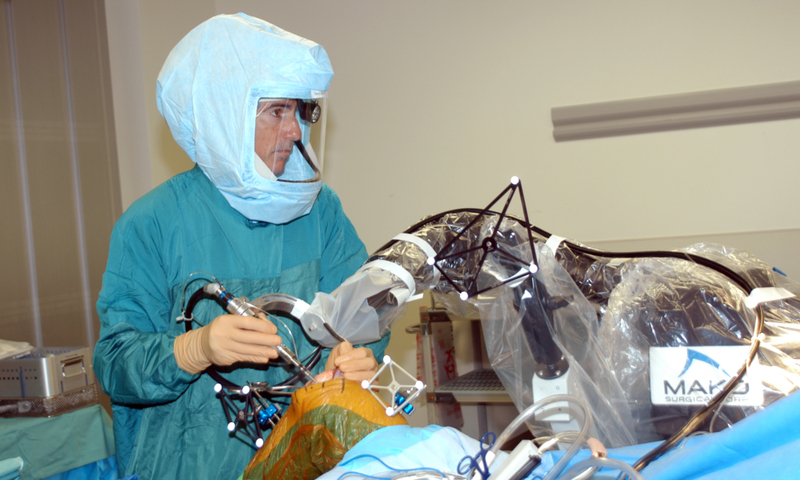 In that regard, robotics technology has been a game changer. Rather than using hand-held instruments to realign and cut the bones to fit the new implants, I use a remarkably sophisticated MAKO computer that actually helps me plan and map out the bony cuts. These cuts then are refined and executed by using the MAKO robotic arm that controls a tiny precision bur. Only bone within a defined haptic space is removed, which allows the new partial knee components to fit precisely and deliver the balance and alignment I planned. This process begins by obtaining a perfect 3-D virtual model of the hip, knee and ankle via a CAT scan. This CAT scan information is fed into the MAKO computer and a virtual reconstruction is performed before the patient even enters the OR. Once in the OR, the plan is confirmed. Infrared arrays or reflectors are placed on the femur and tibia, which wirelessly transmit information to a computer monitor. It’s like having a GPS in the OR and I can see the skeleton and virtual implants in real time. Specific anatomic landmarks then are referenced or registered. These specific points on the skeleton, which I captured in space, correlate to specific points on the virtual 3-D image. When the correlation is tight enough or within a high-enough degree of probability, then we know we can work directly off the virtual image. 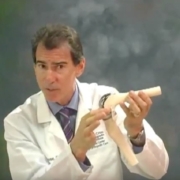 Next, any knee angular deformity is passively corrected and snap shots or “poses” are captured with the knee in extension, at 45 degrees of flexion, 90 degrees of flexion and full flexion. A graphic display shows pressure reading at each of these angles based on the position of the virtual implants chosen. 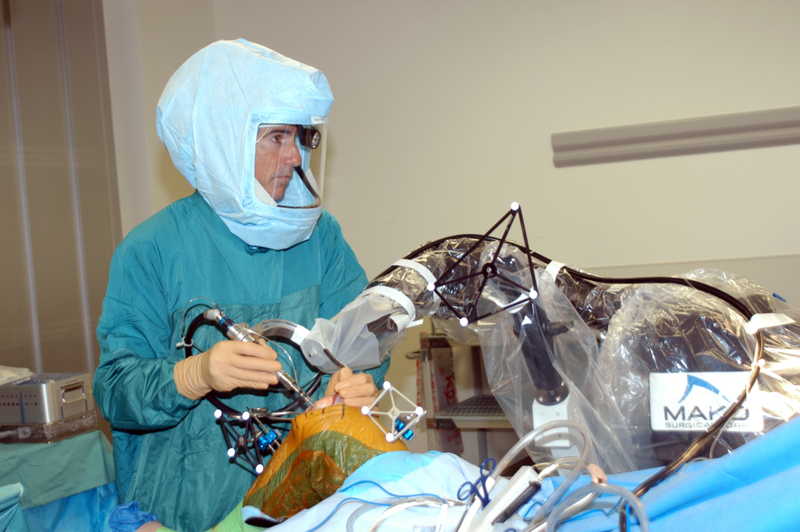 Then, by virtually moving each implant I’m able to optimize the pressures and tracking throughout the range of motion. When the actual components are implanted, the angular correction is maintained and the pressure is optimized throughout the range of motion and the central tracking between components is assured. This is an incredibly powerful tool. This process absolutely has given me and my patients the best and most-consistent results. When components are perfectly positioned and aligned, they have the best chance for optimal wear and longevity. At The Leone Center for Orthopedic Care, the ultimate goal of partial (and total) knee replacement is to relieve pain, correct any deformity and help my patients restore their quality of life with pain-free walking and the ability to resume enjoyable activities. The vast majority of my patients have excellent outcomes and many return to activities such as tennis, swimming, golfing, bowling, dancing, biking, hiking and skiing. 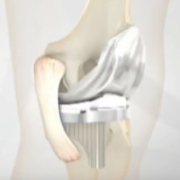 When is Knee Replacement Surgery Right for You? 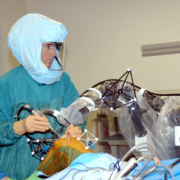 Holy cow, medical technology is freaking amazing, the ability to have a machine assist in a surgery. I wonder if this would be more precise than the human hand. I can imagine it speeding up the whole surgery too.